We believe that the purpose of Pre-Kindergarten and Kindergarten is to open young students’ eyes to the joy of learning while establishing a learning foundation and introducing the classroom experience. These grades are supplemental to the training, teaching, and playtime young children receive at home. Pre-Kindergarten and Kindergarten offer a structured classroom environment for just half a day, during which four and five-year-olds can learn basic math and phonics. There is always something exciting and new to learn in these classes. Teaching methods at this Stage of Learning include guided discovery, the use of tactile items for exploration and to illustrate points of learning, singing, building, drawing, painting, time of show and tell, field trips and opportunities to hear, read and tell stories. In the Grammar School, the school day is only four hours. During this condensed school day, students are introduced to basic concepts, mainly in phonics and math, along with some history and science. The emphasis is not on mastering a set amount of concepts and skills, but on opening student’s eyes to the joy of learning. This is done in a nurturing and structured environment. Veritas Academy offers 3-day and 5-day sections for Pre-K: Monday, Wednesday, Friday or Monday through Friday, from 8AM til noon. The purpose of Kindergarten is to continue introducing students to learning in a group environment. Kindergarten is still viewed as supplemental to the training, teaching, and playtime students receive at home. Five-year-olds can learn basic math and phonics, along with history, science, art and music. The kindergarten teacher assists parents in introducing these subjects to their children. 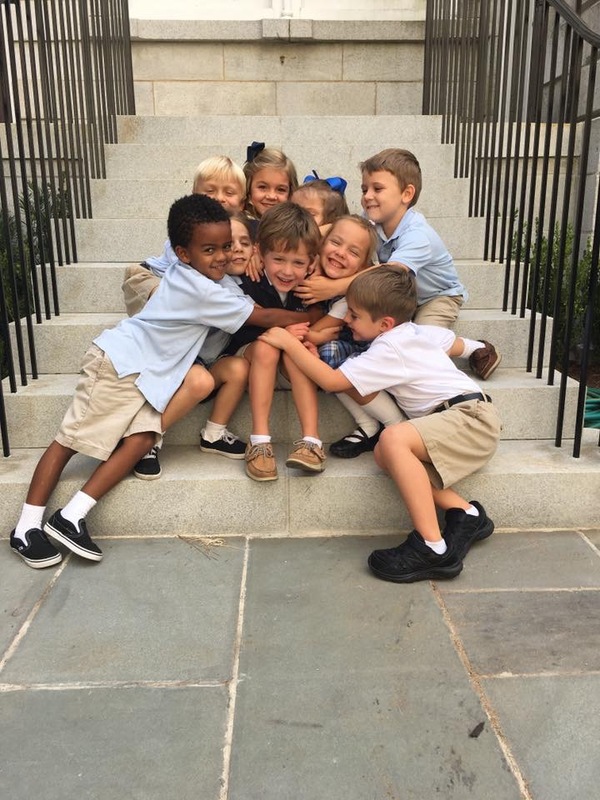 Veritas Academy offers 5-day Kindergarten: Monday through Friday, from 8AM til noon.